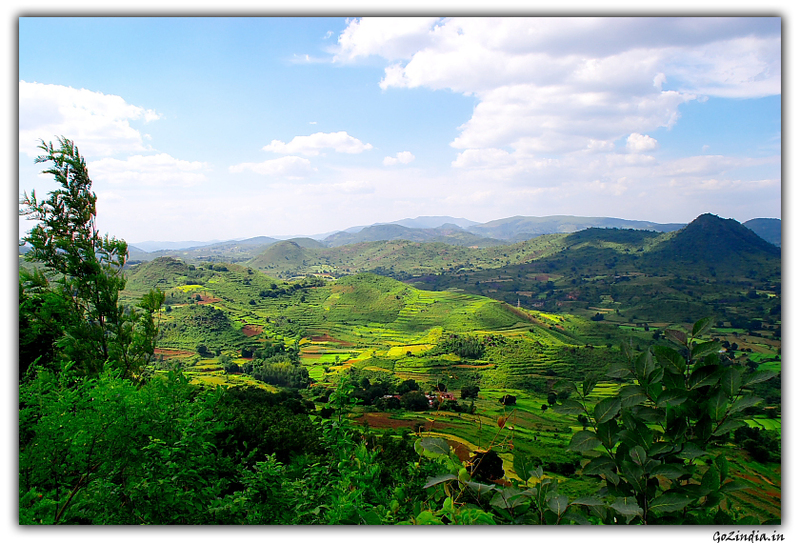 Andhra Pradesh or popularly known as AP along with newly formed Telangana state are located at southern part of India. These developed states are popular for its agriculture, trade & industry and now Hyderabad is a premium destination for all IT companies of the world. 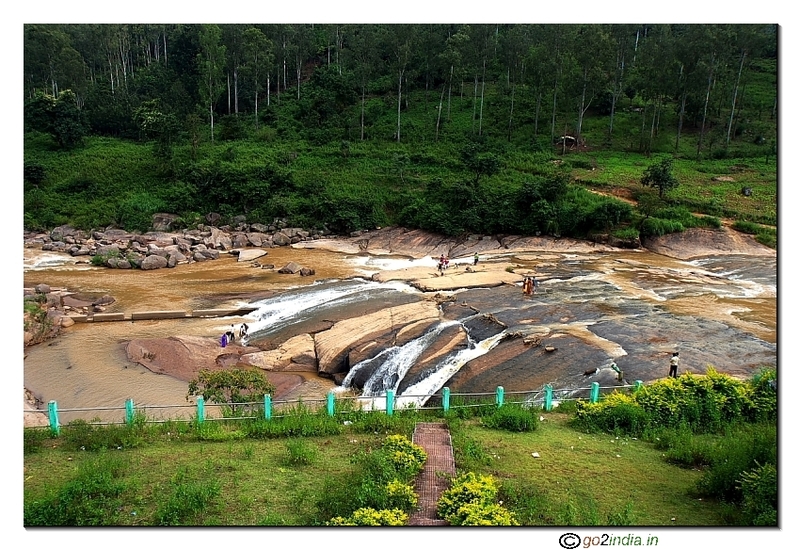 Different areas of Andhra Pradesh are famous for different reasons. 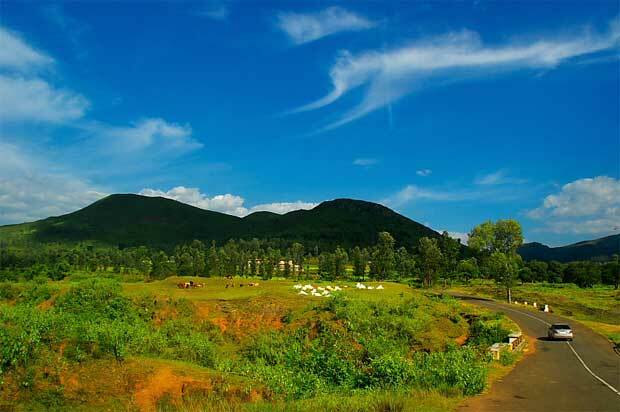 Krishna Godavari delta is famous for its rich fertile lands with lashing greenery. 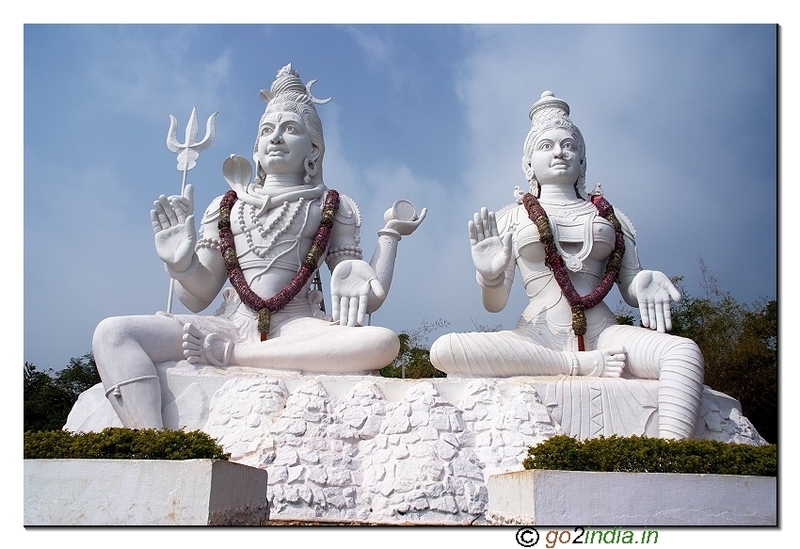 Vijayawada city located by the side of Krishna river is famous for its trade and commerce. Visakhapatnam is coastal city is popular for its natural beaches and tourist places. 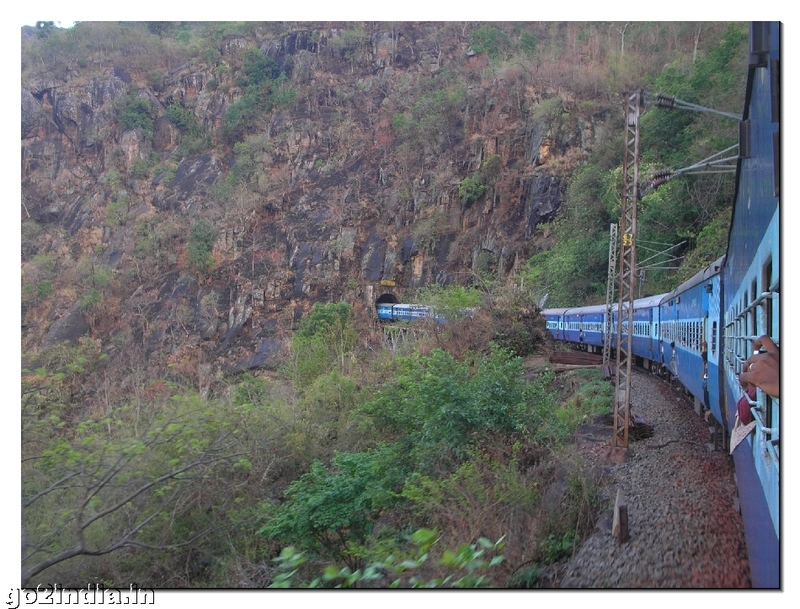 The coastal line is 970 Kms which is the second longest in India. The History of Andhra Pradesh goes back to the years of BC 1000. Aitareya Brahmana of Rig Veda, Natya Shastra of Bharata, Ashoka the great and Buddhist culture are all got importance in this present state. During the period of Satakarni (third king of Satavahana kings) this place got importance. Later, during Vijayanagara kingdom, lot of developments took place. Just after independence of India, Hyderabad Nizams who refused to join, were made to surrender to the Indian Army within a very short duration during 1948. Prior to the independence, Kurnool was the state capital. On November 1st 1956, Telugu speaking areas were made different from Madras region into present Andhra Pradesh with Hyderabad (belonging to Telangana region) as the state capital. 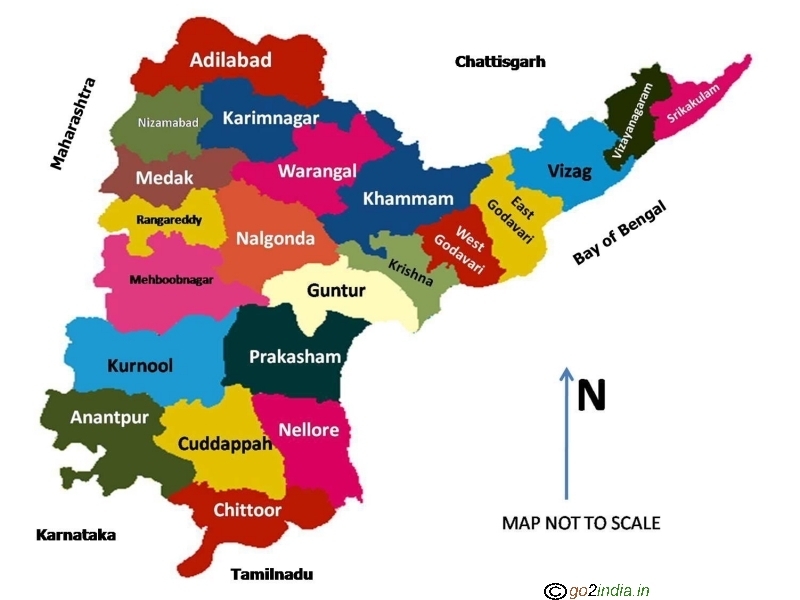 Telangana state was formed on 2nd June 2014 as 29th state in India. 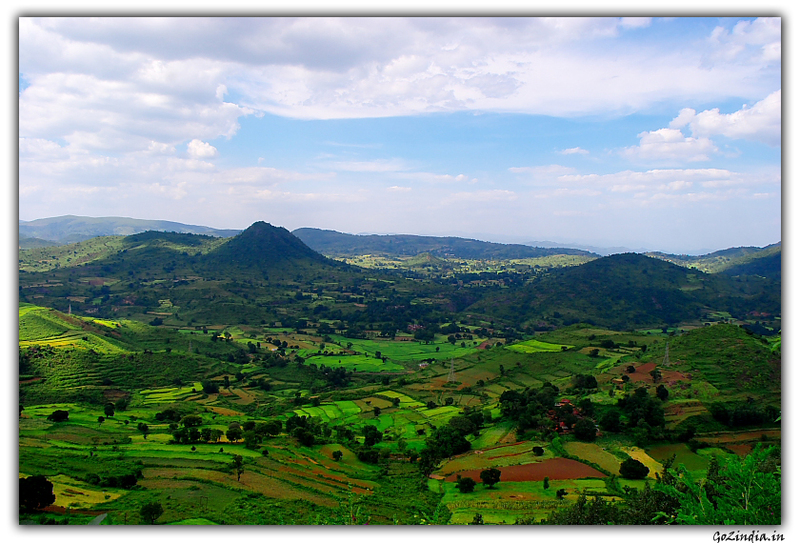 It has 10 districts and several tourist places are located in this state. Some of the importance visiting places in AP include, Tirumala Tirupati Devasthanam, Srisailam, RIshikonda beach at Vizag. 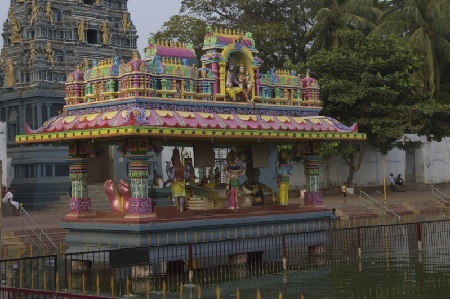 The only Saraswati temple in India is situated in AP at Basara. Temples at Annavaram, Bhadrachalam, Mantralaya are pilgrim destinations. 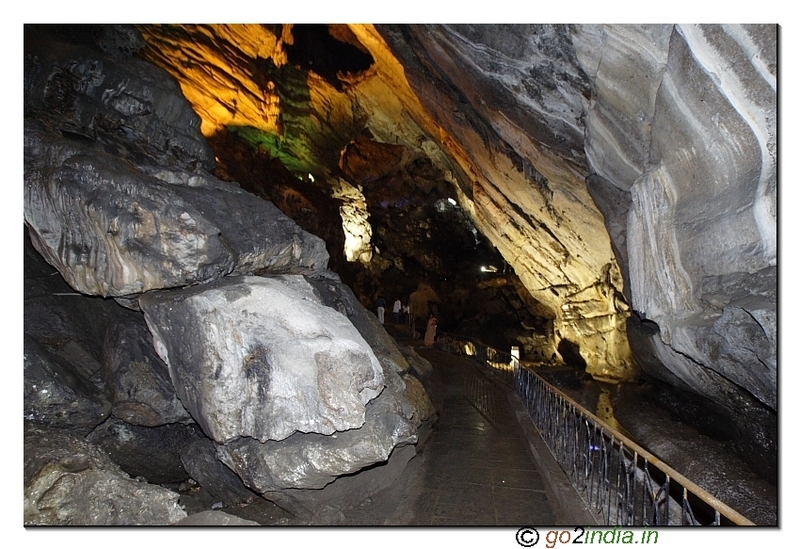 Borra caves and Araku valley of Eastern Ghats are nearer to Vizag. Krishna and Godavari rivers are two major rivers in Andhra Pradesh. Kuchipudi dance is originated in Andhra Pradesh. This busy industrial town has several tourist spots including popular sea beaches. Simhachalam temple is located at top of a hill with good metal road to go close to the temple. 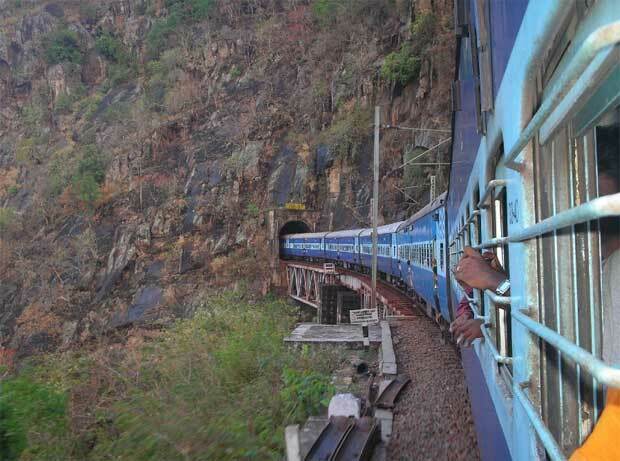 The KK-Line connects Vizag to Araku valley passes through tunnels and high bridges. 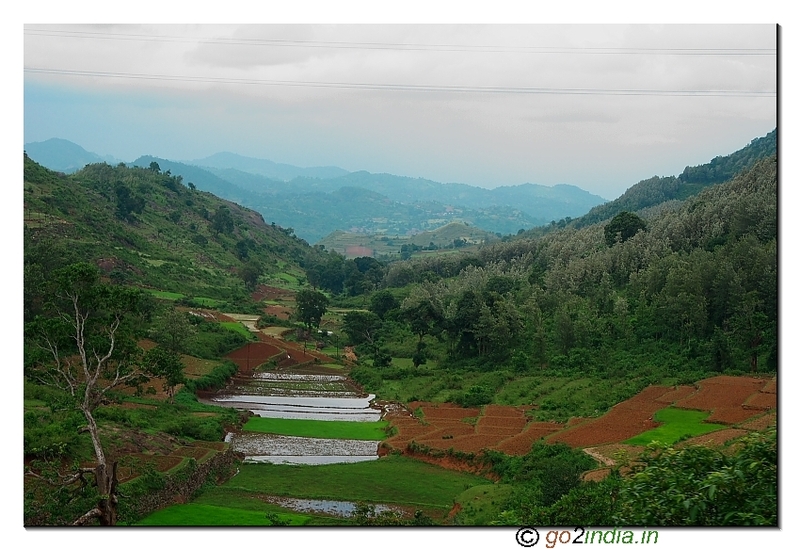 Tourist visit Araku valley throughout the year but the best time to visit is just after rainy seasons when valley became green and waterfalls became full. 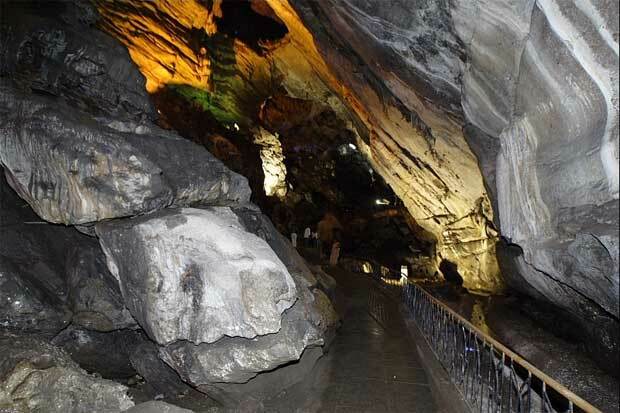 Borra Caves is another attraction of Araku Valley. By the side of river Godavari this town is popular as business centre for rich rural population of the district. Several educational institutions has come up recently in this town. By the side of National Highway No 5 this town is also connected by rail and airport with daily flights to nearby cities. One of the best river Cruise starting from Rajahmundry to Bhadrachalam through Papikondalu is one of the best. 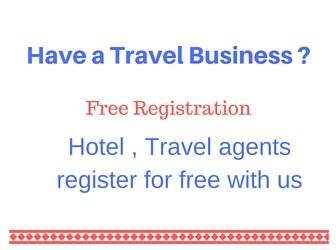 Secunderabad and Hyderabad are twin cities (one of very few twin cities in the world) of Andhra Pradesh and is famous tourist attraction of South India. Both the cities are separated by a water reservoir called Hussain Sagar. Hyderabad is famous for its historic forts and monuments and Secunderabad famous for its culture, attractive lakes and parks. 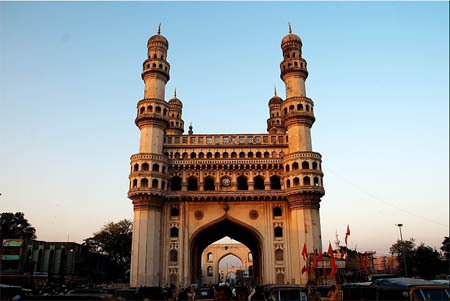 Hyderabad is the sixth largest city of India and the capital city of Andhra Pradesh. This place is one of the important centre of Islamic culture where Urdu is the major spoken language. - 53 metres height and 30 metres wide tower, illuminated view from 7pm to 9pm everyday. Mecca Masjid - situated beside Charminar, one of the largest mosque in the world (accommodating nearly 10,000 people). Salar jung Museum - collections of Mir Yusuf Ali Khan and across the world, various sections for children and library. Birla Mandir - Lord Venkateshwara temple built with white marble, located at south end of Hussain Sagar lake, considered as Hindu pilgrim centre. Temple opening time from 7am to 12 noon and 3pm to 9pm. 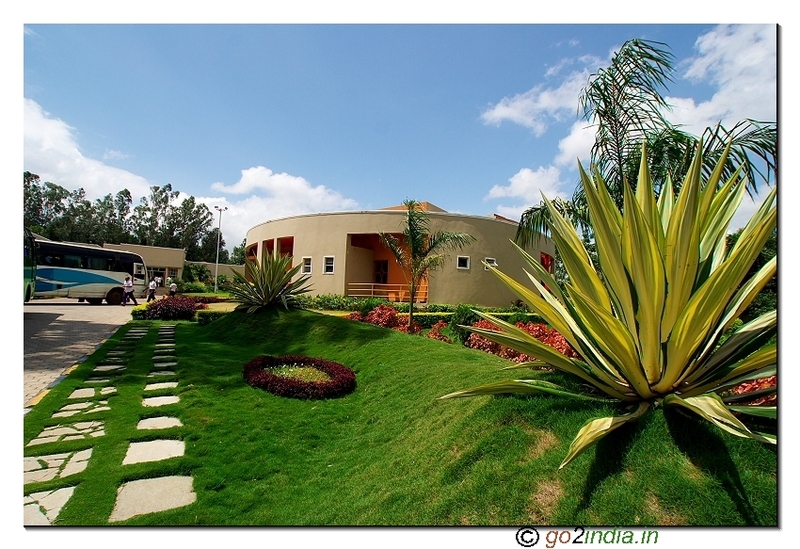 The Country's modern Birla Planetarium & Science Museum is situated beside Birla Mandir's hill. Buddha Statue at Hussain Sagar - beautiful lake with one of the world's largest stone statue of Bhddha, boat trips around the lake. Nehru Zoological Park is one of the largest zoo in India. Ramoji Film city vast stunning land with all kind of settings with all sort of culture and arrangement. Himayat Sagar a picnic spot, lake. Golconda Fort 10Kms from the city, ruins of 17th century. 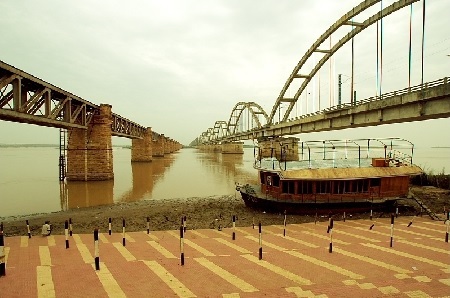 A business city of AP, this town is located by the side of Krishna River. This district is the well irrigated one in Andhra pradesh because of the river Godavari. Many tributaries of Godavari flow through this district. East Godavari district also gets the importance because of the famous temple having historical stories. Among the five Pancharama temples in Andhra pradesh, two are situated in East Godavari district, one in Samalkot (Bheemeshwara Kumararama) and one in DrakshaRama (near Ramachandrapuram). The district also touches the coastal line at Bay of Bengal with the head quarters in Kakinada. Vadapalli and Ryali are two places both almost together (7-8 Kms away) are very famous for Venkateswara swamy and Jagan Mohini temples respectively. Antarvedi is one more place which draws the attention of the travellers because of Vasistha Ashram and the meeting point of one of the tributaries of river Godavari to sea. Lord Narasimha swamy temple can also be seen in Antarvedi. Rajahmundry and Kakinada are the two main business centres of this district. Like East Godavari, this district of Andhra Pradesh is also well irrigated because of several tributaries of Godavari. 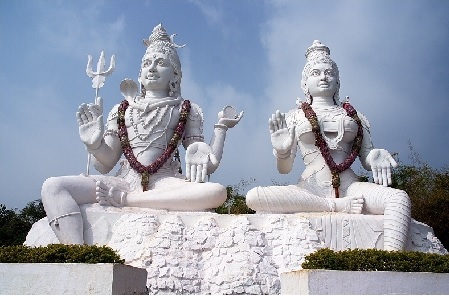 Two of the five Pancharama temples are situated in West Godavari. Palakollu is where Ksheera Rameshwara Swamy (Ksheera Rama) temple is situated. In Bhimavaram , Sri Someshwara Swamy temple (Somarama) is located. The district head quarters is Eluru. Bhadrakali Temple, Govindarajula Gutta, Kakatiya Musical and Rock Gardens, Padmakshi Temple, Pakhal Lake, Ramappa Temple and Lake, Siddeshwara Temple (Which was built in 3rd century), Thousand Pillared temple, Warangal Fort. 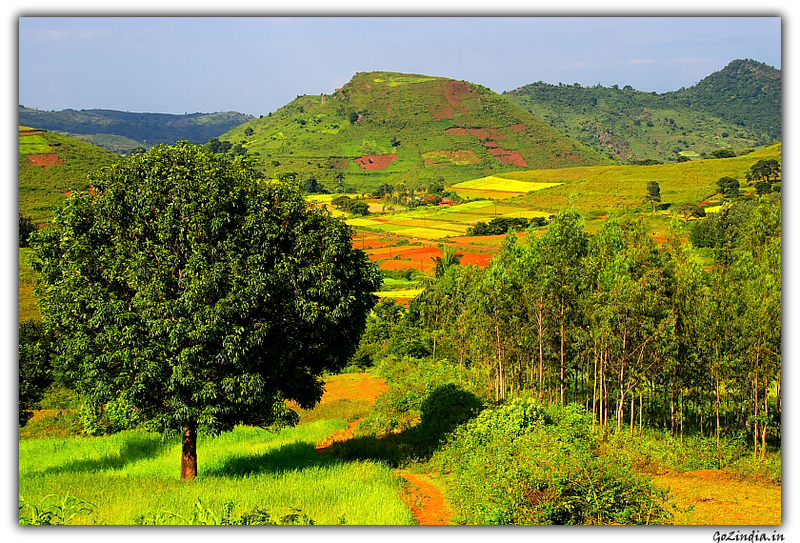 VISITING PLACES	Posammagandi, Papihills & Perantapalli. I've recently been to papidikondalu , actually that place is called papidikondalu.